Halo 3 has a lot of ground to cover if it even hopes to hold a candle to the incredibleness that is Gears of War!!! 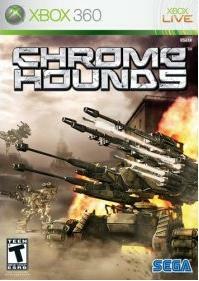 This game sets a new bar for third and first person shooters everywhere, and is so amazing I don’t know where to begin. So, I’ll start with the back-story all of you probably know by now: Gears of Wars takes-place in the some-time future, after Emergence Day, or the day when the Locust Horde attacked every major city on Sera (hard to believe, but makes for an interesting plot, unlike Halo 2). The Gears (Earthlings) engage in intense battles against the Locust Horde and are getting their a$$es kicked left and right. You play as Marcus Fenix, who was in jail for not following orders (I won’t reveal much more past that). The game starts off that Dom, one of your army buddies, busts you out of jail…but then again everyone is dead so it’s not must of a “bust”. The game immediately puts you into the action, and starts off with small enemies than grows massive until you have to hold off tons of Locusts, from Wretches (you will learn to absolutely hate these guys, especially the exploding ones) to Boomers (big-stupid Bazooka Locusts). Great Single-Player: the single player campaign is awesome. The game perfectly designs a duck, over, and run third-person shooters with an in-your-face adrenaline-pumping total machine-gun warfare! Complete with senseless violence and gore galore!!! While weapons are limited, the game play is incredibly. The replay value is also high since you unlock more things by completing it in hard (which is code-named Insane). The game is complete with incredible game-play, interesting story-line, stunning graphics, and a villain that you fell like beating the living hell out of. At times, however, especially as you progress, the game seems impossible and the enemies seem endless – but this is the joy of the game – don’t give up and keep trying and when you beat one of those difficult parts, you fell pride and accomplishment! Look-out Bungie: As we all know, Halo 2 was a big disappoint despite high-sales, and the mod for online play ruined it. Gears of War sets a new bar for shooters with its long hours of gameplay, endless xbox-live multiplayer (which could be better but isn’t bad), innovative game-play system, and everything else. This game meets and surpasses all the hype, and is a must-buy for 360 owners everywhere. And if you don’t own one, save up money and buy a 360 with Gears of War! I almost forgot! Gameweb is officially two years old today! To celebrate, the site has undergone a makeover courtesy of the new Blogger. Enjoy! It's just my opinion...don't kill me! Well, I've written up how I think Halo 3 should end. Read it at Viewpoint now. I warn you, it will spark controversy! Hey! I randomly back for some reason, and I'm randomly posting what I think would be the ideal ending to Halo 3! Now, I know when most of you read this you'll probably send me hate mail, hunt me down, and kill my family, but just remember that it's one man's opinion. It probably won't turn out anything like this, I just think it would be cool. Also, I don't have enough details to go into details... except for the very end, which is the important part anyway. At this point, the Covenant are beaten, Gravemind is dead, and the Chief is near death from the crash. The other Spartans come to his aid, but it is too late. Kelly holds up the Chief as he dies in her arms. You can hear her crying under her helmet as she takes off his helmet and strokes his hair. The other Spartans are also deeply saddened. The camera pans out and Cortana says something about the world being saved and his sacrifice or some such nonsense. You never see the Chief's face because Kelly is blocking it. Oh, and sad music is playing as the final cutscene fades into the credits. Sad, yes. But that's the way things should be. Gears of War has officially been dated for a November 12 release, just five days before the PS3. This time, taking after the first three Budokai games, you can transform in-game, or start out transformed. Also, expect an improved combat system. If you just can't wait for the game's release this fall, check out Super DBZ in the meantime. Super DBZ was developed by the creator of Street Fighter 2. Thanks to Wikipedia for the character listing. "The world of interactive entertainment has changed since E3Expo was created 12 years ago. At that time we were focused on establishing the industry and securing orders for the holiday season," said Douglas Lowenstein, President of the ESA, the trade association representing U.S. computer and video game publishers and the owner of E3Expo. "Over the years, it has become clear that we need a more intimate program, including higher quality, more personal dialogue with the worldwide media, developers, retailers and other key industry audiences." The new E3Expo will take shape over the next several months. As currently envisioned, it will still take place in Los Angeles, described by ESA as a "great and supportive partner helping to build E3." It will focus on press events and small meetings with media, retail, development, and other key sectors. While there will be opportunities for game demonstrations, E3Expo 2007 will not feature the large trade show environment of previous years. "E3Expo remains an important event for the industry and we want to keep that sense of excitement and interest, ensuring that the human and financial resources crucial to its success can be deployed productively to create an exciting new format to meet the needs of the industry. The new event ensures that there will be an effective and more efficient way for companies to get information to media, consumers, and others," said Lowenstein. Additionally, the evolution of the video game industry into a vibrant and expanding global market has led to the creation of major events in different regions, such as the Games Convention in Leipzig, the Tokyo Game Show, and company-specific events held by Sony, Nintendo, Microsoft, and others around the world. As a result, Lowenstein said, "It is no longer necessary or efficient to have a single industry 'mega-show.' By refocusing on a highly-targeted event, we think we can do a better job serving our members and the industry as a whole, and our members are energized about creating this new E3." Thanks to Team Xbox for the press release. At least the last big E3 went out with a bang. That's right folks the one known as to be reckoned with is back with a review on Guild Wars. Well from the get go I can tell you Guild Wars is a good game but when we get down to the nitty gritty it depends. First of there are 5 classes to choose from Warrior, Monk, Elementalist (wizard), Necromancer (evil dude that controls evil stuff), Ranger, Mesmer ( weird spin off of elementalist but looks Irish and wears masks). Now you may be saying that only 5 classes are to little for a MMO, well your right but that's were they through in the second class in which you can choose another of the classes to be a sub class for your character for exp. Warrior monk (Paladin), Monk Necro. These are only a few of the combos that you can come up with and the amount of skills you can learn are just flabbergasting. The one thing that I got a little upset with in this game and many other MMO's out there is the customization of making your character look unique ( props to Oblivion for doing it right) I was quite annoyed when I saw a guy that looked similar to my warrior ranger. All in all this is a good MMORPG for you MMO fans if your not I suggest a game like Ragnorok online which is like a MMORPG for people who are not really interested in MMORPG's. But if you like a good MMO and staying up till late trying to get money to buy armor guild wars is the game for you. According to a source close to Microsoft, who wishes to remain anonymous, Halo 3 will be released next March! This was re-confirmed by a second reliable source. Still, if Microsoft themselves or Bungie hasn't said anything this shall be regarded as a rumor. Halo 3 is expected to show up at E3 in video form. Okay, so it's not called the Xboy (personally, I prefer Xblock) but it's coming! According to Microsoft themselves they are working on a portable gaming system to rival Apple's iPod and Sony's PSP. It'll play music, movies, and games. It's been in development since mid-2005 and is being headed by the team that made the 360. It should be available next year. If this news is false, don't blame me. It's been a while. Too long if you ask me. Anyway, here's some (rather old) Xbox 360 game reviews by Raider Bear. They may be old, but who cares no one has a 360 anyway. Maybe these will help when we all finally get one. Synopsis: Kameo is an excellent game for the Xbox 360. It provides a new sort of game genre which merges past games like the Fable environment, crazy cool character drawings like in Oddworld Series, mythological beings like Lord of the Rings, and great game play. This is an awesome game and as I previously mentioned great gameplay. The only downside are the controls. All your actions revolve around Y, B, X to switch warriors and Rb and Lb to attack. Besides the ify controls this is a must own for Xbox 360. Synopsis: Like Red Dead Revolver, excellent western shooter. The game should have been called Red Dead Revolver 2 because it is exactly like it. If you like Red Dead Revolver this game is a must buy, if you didn't avoid. This game depends on the person, I personally love it. Synopsis: WOW! First game I played for Xbox 360 and might be one of the best. I don't know how people hate this game, it is awesome. As Jack it is one of the best shooters I have ever played, and as Kong the game is just incredible. Easy controls, incredibly stunning graphics, my personal favorite. Synopsis: Excellent war game, best I have ever played. I love war games and this one is awesome. Really easy controls, really brings the terror of war to life. Must have for Xbox 360. Synopsis: Woah. Best fighting games ever. I love it and I normally hate fighting games. Another Most have for Xbox 360. While I don't have an Xbox 360, I have played Call of Duty 2's multiplayer and I must say it's incredible! Thanks again to Raider Bear for the reviews. It all started with this statement from Shane Kim at a press event announcing the game Viva Pinata : "We're not here to talk about the mythical Halo 3, as I call it". He continued by saying: "We'll be talking about anything we're doing in the Halo universe - whether that's Halo 3 as I call it or anything else - at the right time. That time will be soon." This statement led many to believe the next game in the series would not be Halo 3. As you know, Bungie has denied the existence of Halo 3 thus far. However, an article in the new issue of Game Informer stated they know about the game. It's not Halo 3; rather it's codenamed Forerunner. Some red flags were raised being that this information was revealed in the April issue of Game Informer, but the article itself claims "(and no, this is not an April Fool's joke)". If you're interesteded in further details, check out the full article below. Is it true that there will be no Halo 3? If you ask bungie or Microsoft the current answer will be, “Yes.” In fact, at the time of this writing, both companies have flat-out denied that Halo 3 even exists. And yet the game has not only been the constant subject of talk and rumors by both fans and the industry itself online retailers have thrown up bogus release dates from time to time to stir up the masses. How can a game that supposedly doe snot even exist be speculated about so much? We know that Bungie is working on various projects, and despite employment advertisements asking that applicatants love “combat on the high seas,” Game Informer has learned through its network of industry spy pirates that Bungie’s next release will be a Halo Xbox 360 project. However, as of now, it’s not even called Halo 3. The relentless confusion over Halo 3 starts with the powers that be at Bungie. Shortly after the release of Halo 2, the company’s studio manager Pete Parsons told the BBC, “After Halo 2 we are planning to do something different. We will do something else and we have a few ideas.” This led the public to the logical conclusion that the next project wouldn’t be Halo-related. None other than Microsoft’s Bill Gates himself put down the gauntlet on Halo 3 and seemingly confirmed the game’s existence in the spring of 2005 when he told Time that he game would release alongisde and compete with Sony’s Playstation 3. Gates would later recant this ex act release date of the game but didn’t deny the project existed. That job has instead been left to others such as Microsoft Game Studios head Shane Kim who dubbed the game “the mythical Halo 3″ in a February update of the website Next Generation. And, of course, all the while Bungie has held the course that Halo 3 does not exist. 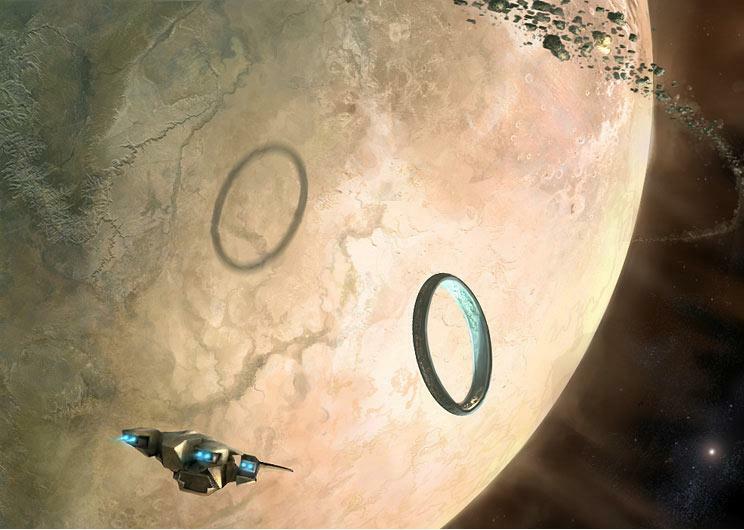 The game is being designed around huge persistent worlds that will be created with what we’re being told as a modified Halo 2 engine. “Big” is the operative word, and many aspects of the title will be affected by the large scale of the game. For instance, Forerunner will showcase four player co-op in a move away from a strict linear single-player experience. Make no mistake about it , though, Master Chief is the game, and gamers will play as him to drive along the story. however, the world itself and the events that draw from it will be more malleable to the player and any co-op friends that join in on the action. If you are charged to capture a weapons depot, for instance, you might not choose to do it, or may fail trying. Although our source says the game still has a definite mission structure, your failure at this particular task will mean that wh atever extra firepower may have been yours for the taking had you caputred the depot will instead strengthen your enemies from then on. This cause/effect concept applies to the game’s destructible environments as well. Of course, the philosophy is nothing new in video games, but it clearly embraces Bungie’s love of multiplayer and the lessons learned from the series’ success online. We imagine that these tidbits are surely only the tip of an iceberg that hopefully includes plans to merge the offline and online worlds together to great effect. 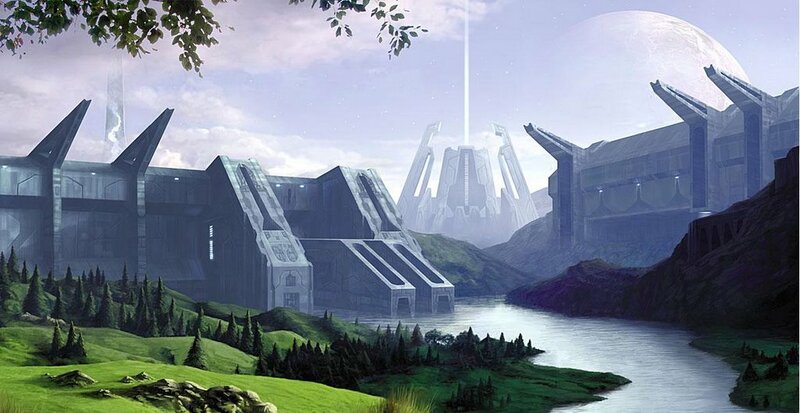 We’re told t he game’s storyline will delve into the origins of the Forerunners, the long-absent, technologically advanced civilization that inspired the Covenant’s Great Journy. 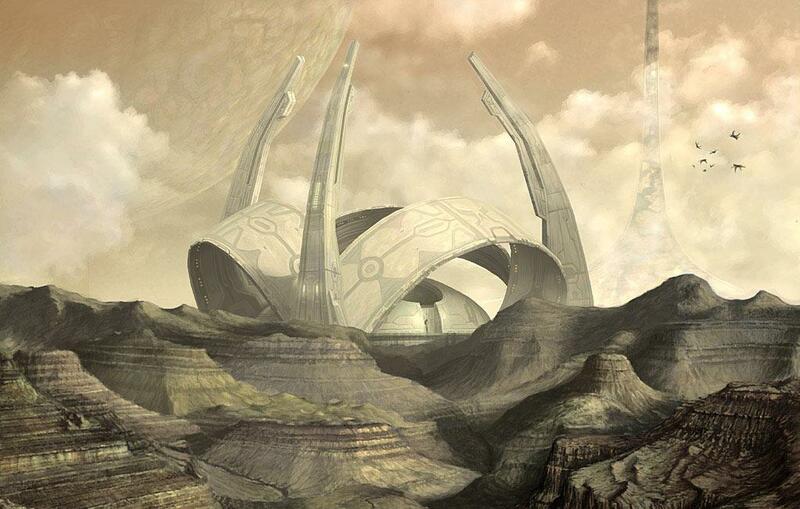 Up to this point, the Forerunners are a mysterious element within the Halo story that has yet to be fully explained. However, the pots of Halo and Halo 2 imly taht humans, the Master Chief, and the Forerunners are linked, but with as little we know about the actual plot of this upcoming project, we don’t know how everything is going to fit together. Although our source has seen the Chief in action, even his presence could only be half the truth. 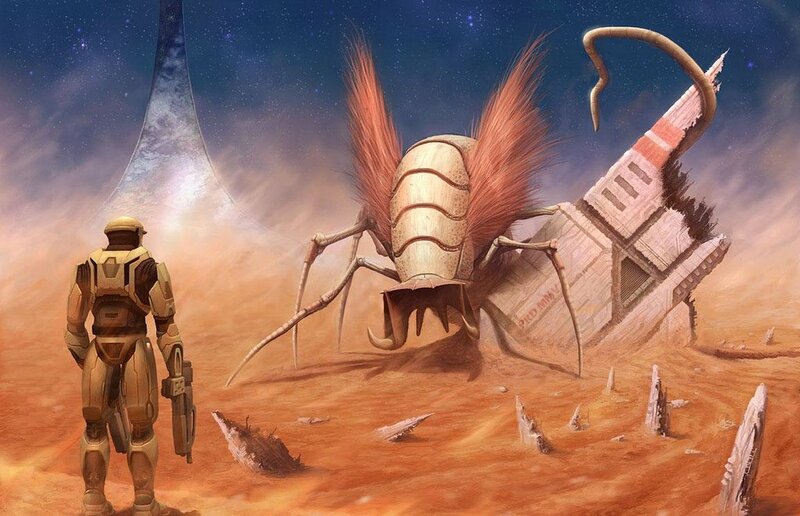 After all, this is from the company that surprised everyone with the introduction of the Arbiter as a playable character in Halo 2. Bungie’s denials that Hlo 3 exists have led fans to surmise that he compnay says so simply because the next Halo project doesn’t involve an actual halo, unlike the first two titles. That would make sense, given what our source has told us regarding the game’s focus on the Forerunners. However, that does not preclude the title from picking up where Halo 2 tantalizingly ended - with the M aster Chief returning to Earth with a mandate to kick some ***. 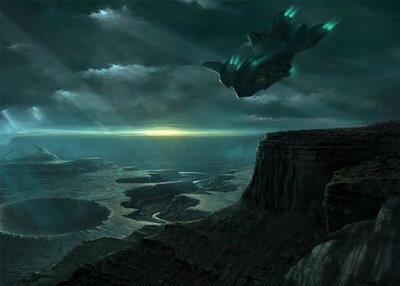 The project could also be aligned with the Halo movie s cheduled for release in the summer of 2007, which has Peter Jackson at the helm as executive producer. 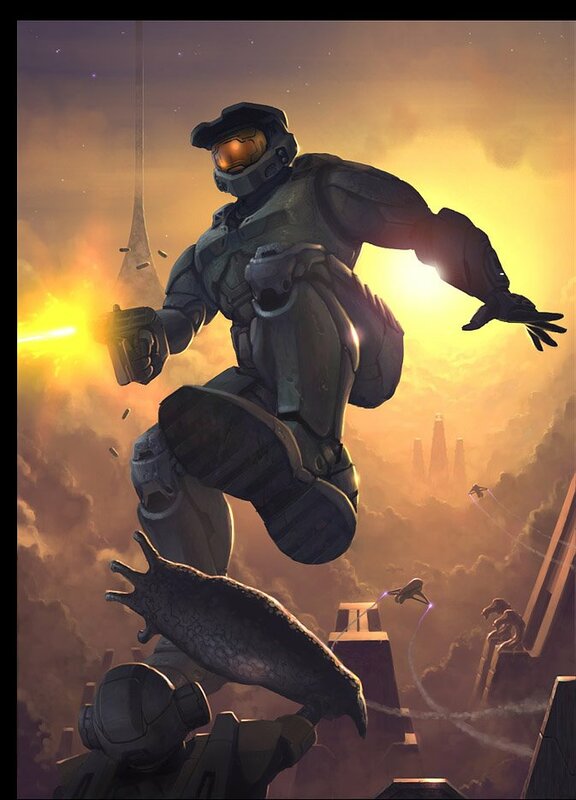 Our source tells us that he film will be based on the book Halo: THe Fall of Reach, chronicling a time leading up to the first game. If the mysterious Forerunner project is in fact related to the movie, then perhaps the video game’s title could not only refer to the civilization, but to the game being a prequel set during the early part of humanity’s war with the Covenant. Clearly there are more questions remaining than have been answered with the information we’ve brought to light. Does this Forerunner project actually mean there won’t be a legitimate Halo 3? Could there be a game called Forerunner and an entirely other project entitled Halo 3? What if Forerunner is simply a side project meant to explorer storyline t angentswithin the Halo universe? If “Forrunner” is indeed the actual name of the game our source has seen, and not simply a temporary codename, we can’t imagine a Halo product leaving Bungie’s doors without a Microsoft marketing executive slapping the word “Halo” somewhere on the box for maximum effect. As always in the development process, there are myriad aspects that can change at any moment. But for the time being, our source has assured as that the tantalizing snippets that have come our way are indeed true. Whether or not they point to the whole truth is something we won’t know until Microsoft pulls back the curtain on the project at E3. Bungie clearly delights in winding up the public, so we wouldn’t at all be surprised if what we know now are merely isolated pieces of a larger puzzle that Bungie has cleverly constructed. Regardless, any project from the developer is a big deal and one that’s guaranteed to get fans excited, regardless of what it’s finally called. I STILL LOVE BEES DO YOU? Nintendo revealed the other day that they are working on a smaller, redesigned DS. It will be known as the DS Lite. In addition to being smaller, the screen will have four levels of brightness. Some of the face buttons have been altered as well. The A, B, X, and Y buttons have all been made larger and the start and select buttons have been moved. The D-pad has also changed to the same used on the Gameboy Micro (that means it'll be less clicky and easier to control. The microphone has been moved to the center of the system and power button is now a slide-switch on the side (like the SP). The stylus will also be stored horizontally rather than vertically. Other than these improvements, the system will function exactly the same. It'll be available March 3rd in Japan and late spring in the US. Tiger Telematics, the company responsible for the Gizmondo has filed for bankruptcy. A new DOA Volleyball game is in the works for the Xbox 360. Untold Legends 2: The Warriors Code has gone gold. BOOTH BABES HAVE BEEN BANNED FROM THIS YEAR'S E3!!! Some good news, some bad. We'll keep you posted. One of the wierder ones, but hey, the wierder the better! Check out the new music video for Dare in Hi or Lo. Why do the good ones always die young!? Why is it that they always pull the good shows off the air before their time? What shows do you ask? Well, pretty much the animated shows that I watch. One of the worst cases I can think of is Samurai Jack. That was one of the best shows I've ever seen. They pulled it off the air in it's fourth season just before they aired the final four episodes. Luckily, Cartoon Network was feeling generous and finally showed the final four in s special block on Toonami. Of course, these episodes did not, in any way, end the series. I mean, the show just got an Emmy; and the next week they cancel it! And so, we'll never know If Jack gets to the past to defeat Aku. My only wish is that they produce a direct-to-DVD conclusion. Not long, just 60-90 minutes. That would make me eternally happy, and the series could rest in peace. Another I can think of is Megas XLR, one of the funniest shows ever. Now, I don't know if this show was cancelled or just pulled of for a really, really, long time. Whatever the case, it's not being aired and I want to know what happens. Will the Glorft ever be defeated? Will Megas ever be brought back to the future? We may never know. Teen Titans recently ended when the last episode aired Monday the 16th. While it was kind of a concluding episode, it still sucked. In fact, it raised more questions than it answered. Sure Terra is back, but how did she get there and why doesn't she remember (or want to remember) her past? What's up with Red X? Who is he? And who the hell is Slade!!?? They never answered that question. If you ask me, they ended the series too soon. They need to answer the remaining questions before this one can be put to rest. Here's another show: Invader Zim. Why cancel Invader Zim? Everybody loved that show! Even though we'll never find out if Zim takes over the world, we can reasonably guess he never did because, well, he's an idiot. Still, it was an incredibly popular show. I think it would have lasted better on another network. Let's all take a moment to mourn this next one. Fururama was one of the greats. In my opinion, it was much better than its older brother The Simpsons. I know I'm not the only one that thinks this way. It may not have any particular way to end, but this show still deserves to be picked back up because it was awesome. I'd love if it were picked up by Adult Swim with new episodes on Sunday nights. Even though Family Guy was brought back after it was cancelled, it still makes me mad. Fox cancels the show then says "Oops! Those DVD sales are through the roof and so are the ratings of the reruns! We'd better get it back before someone else does." If I were Seth McFarland, I would have declined and gone to Cartoon Network. I'd be mad as hell for its cancellation in the first place. I'm sure it would have been picked up on Adult Swim. Then we could enjoy some new Futurama and Family Guy every Sunday night on CN. That would have said "In your face Fox!" Oh, and why are shows like Stacked still on the air when such good shows get pulled off? As some of you may (or may not) know, Gameweb's first anniversary was December 22nd. I haven't updated in forever because life's been crazy and I've been lazy. Anyway, in honor of the anniversary, I've given the site a revamp. Hope you like it, and I hope they'll be many more to come!